Explorer Sport gets the same V-6, a significantly beefed up chassis, as well as a stiffened, lowered suspension, bigger brake rotors, and a faster feel to the steering system. All of these tweaks made the Taurus SHO into a much more aggressive machine. Ford is also trying to walk a fine line between all-out performance and reasonable fuel economy with the Sport. Its 16/22 mpg target would be a big improvement on the 12/18 of the Jeep Grand Cherokee SRT8 (which will cost about $10,000 more than the Ford, we think.). Significantly, the Explorer Sport will also do better than the 13/20 of the 5.7-liter, Hemi V-8 Dodge Durango, a vehicle we really like for its great handling, given its mission. 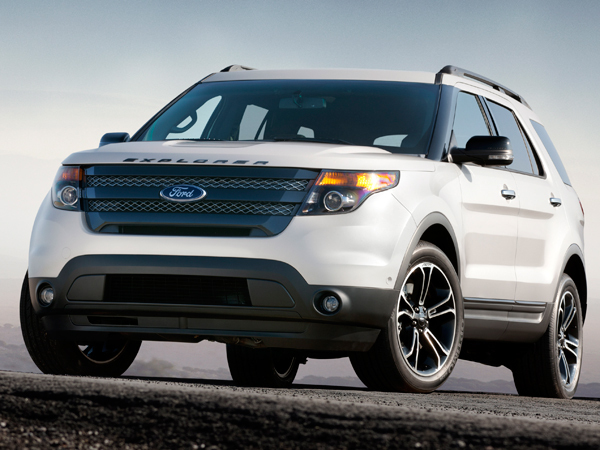 If Ford catches up in power and can offer better fuel economy, it's sure to capture a lot of buyers for the Explorer Sport.